Docker’s Birthday Celebration is not just about cakes, food and party. It’s actually a global tradition that is near and dear to our heart because it gives each one of us an opportunity to express our gratitude to our huge community of contributors. The goal of this global celebration is to welcome every single Docker community users who are keen to understand and adopt this technology and influence others to grow this amazing community. This year, celebrations all over the world took place during March 18-31, 2019 at across 75 Users groups events worldwide. Interestingly, Docker Inc. came up with really good idea of “Show-And-Tell: How do you Docker?” theme this time. Docker User Groups all over the world hosted local birthday show-and-tell celebrations. Each speaker got chance for 15-20 minutes of stage time to present how they’ve been using Docker. Every single speaker who presented their work got a Docker Birthday #6 T-shirt and have the opportunity to submit their Docker Birthday Show-and-tell to present at DockerCon. We celebrated Docker’s 6th Birthday in Bangalore at DellEMC Office, Mahadevapura on 30th March. 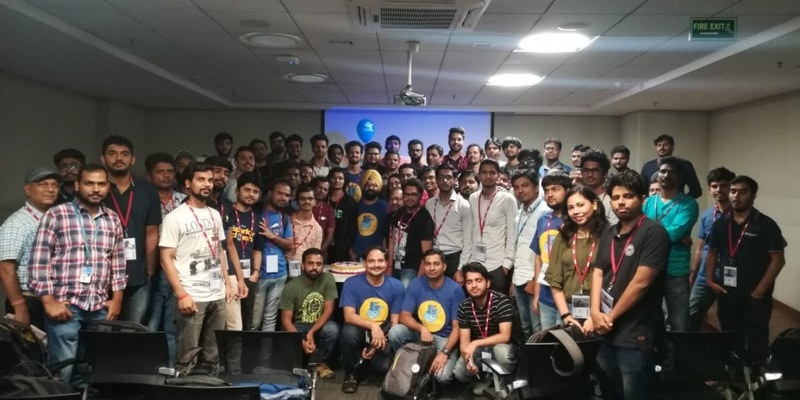 Around 100+ audience participated for this Meetup event out of which 70% of the audience were beginners. Planning for Docker Birthday #6 celebration all started during the early first week of February. 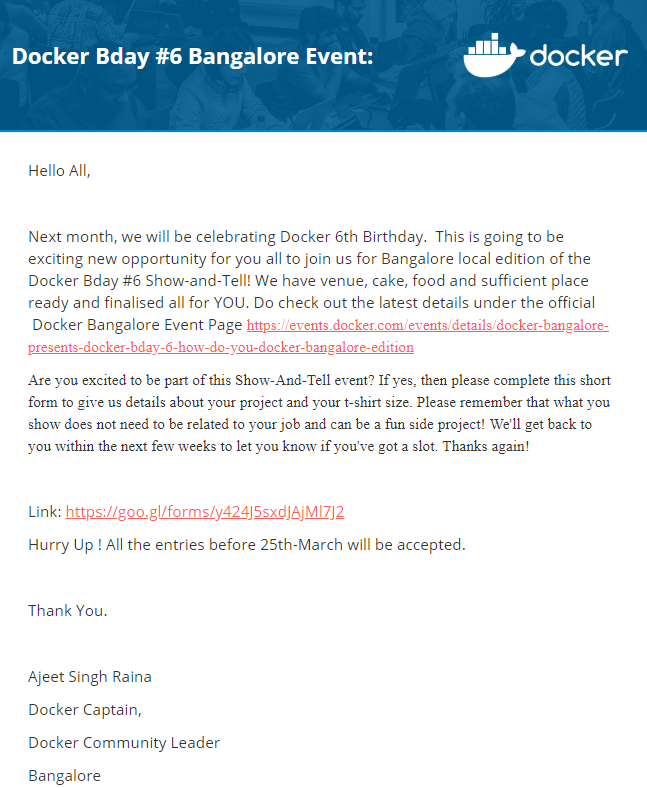 First of all, I came up with Docker Bangalore Meetup event page as to keep Community aware of upcoming “Show-And-Tell” event. Soon after posting this event, my Google Forms got flooded with project stories. Received 30+ entries on the first 2 weeks which was just amazing. Out of overall 60 projects, I found 10 of the projects really powerful and hence started working with individuals to come up with better way to present it on the stage. In parallel, I placed an early order for a Birthday banner, Birthday stickers, T-shirts(Men & Women) for speakers, T-shirts(Men & Women) for the audience. Thanks to Docker, Inc for shipping it to Bangalore on-time. Akshit Grover, student of ACM VIT Student Chapter was one among the young engineer who came up with cool project idea titled “Box-Exec”. 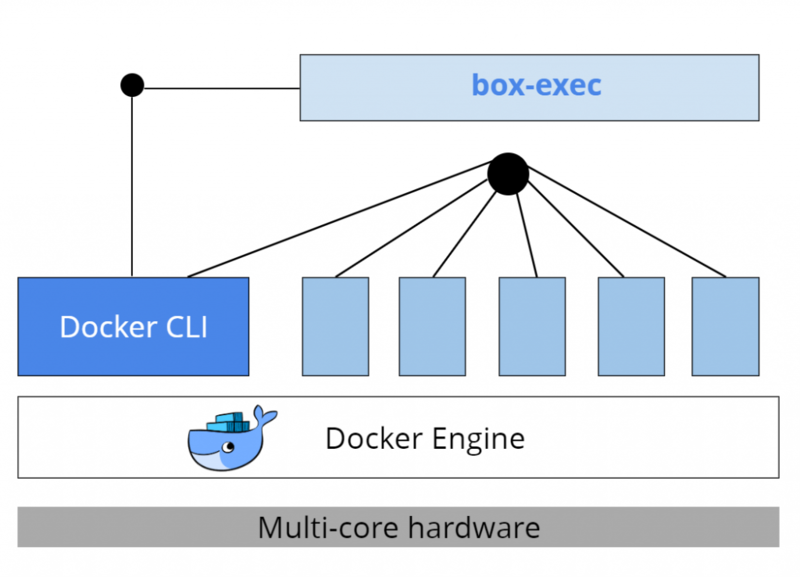 Box Execute is an npm package to compile/run codes (like C,CPP, Python) in a virtualized environment, Here virtualized environment used is a docker container. This packages is built to ease the task of running a code against test cases as done by websites used to practice algorithmic coding. It supports automatic CPU time sharing configuration between containers and load balancing between multiple containers allocated for same language. Shivam Yaduka, 3rd Year student of ACM VIT Student Chapter was the next speaker on stage who talked about his super cool project idea titled “Flipper – Build, Ship & Navigate”. 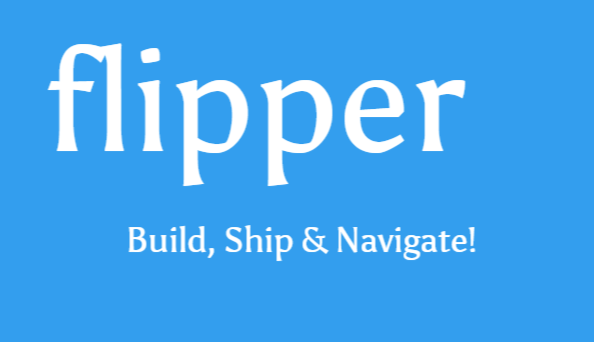 Flipper is a Docker playground which allows users to run Docker-in-Docker-In-Docker commands ~ all on a web browser in a matter of seconds. It gives the experience of having a free RHEL Virtual Machine in browser, where you can build and run Docker containers. Flipper uses Python-CGI in order to interact through a Web server with a client running a Web browser. It uses HTML/CSS as a Front-end language. He started his talk around the challenges around existing Sandbox tools like VirtualBox, bloated Docker images for Big Data applications. He claimed a smaller footprint, low CPU & system Overhead and automation with his promising “GigaHex” platform. Hemanth Gaikwad, Validation Architect from DellEMC, headed over to the stage to talk around his active project titled ” Z10N : Device simulation at scale using Docker Swarm “. Hemanth initiated his presentation talking about the existing challenges in delivering products to the customer on time with high quality. He stated that the major challenge is to develop and test as thoroughly and efficiently as we can, given our time and resource constraints. Essentially a company needs improved quality and reduced software lifecycle time to be able to survive in the competitive software landscape and reap the benefits of being early to market with high quality software features. Hardware availability happens to be scarce which results in design, development and tests getting pushed right. Products are developed and tested under non-scaled environments for just a few finite states, again impacting quality. Reduced quality would inherently further increase the costs and efforts. Seamlessly design & develop products, execute automation & non-functional tests at will without worrying about the hardware availability Learn how you could simulate/emulate a hardware device and create thousands of clones for the same in just a few minutes with 99% reduction in expenditure. He claimed that Z10N is already helping make better, faster products and with its capabilities it’s surely getting you the “Power to do more”. Next, Vishnu Murty, Senior Principal Engineer from DellEMC delivered a talk around “JAAS” – DellEMC in-house project for distributed workload testing using Docker containers. Vishnu initiated his talk around challenges with existing Loading testing tools for various workloads like FTP, Web, Database, Mail etc. He stated that Load testing tools available in market comes with its own challenges like Cost, Learning Curve and Workloads Support. To cope with these challenges, he started looking at possible solution and hence JAAS (JMeter As A Service) was born. JAAS uses Containers and open source tools to deliver servers validation efforts. 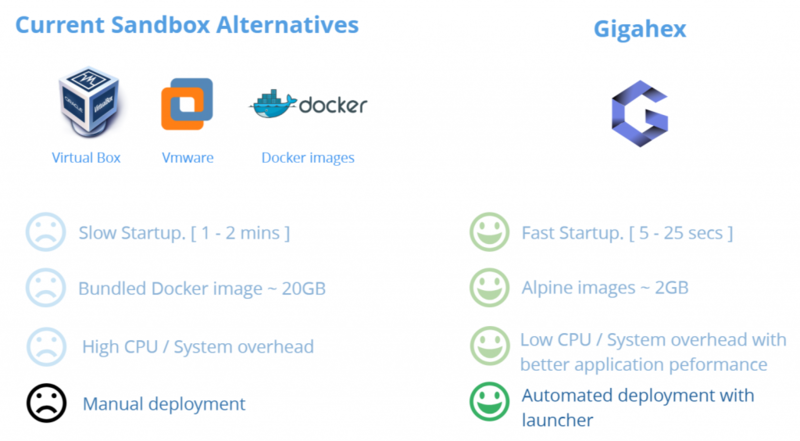 Containers and Docker SWARM: For auto deploying of JMeter Apps, we use Docker containers. 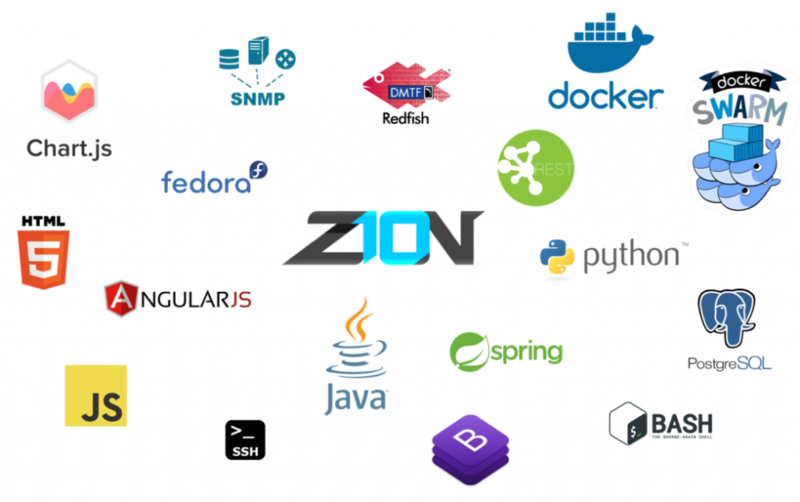 We use Docker SWARM service for creating Virtual JMETER Users for Generating the Load. JMeter: Performance/Load testing framework from Apache, has been widely accepted as a Performance/Load testing tool for multiple applications. Python: Python responsible for communicating across all individual components (Docker SWARM and ELK Stack) using Rest API. ELK Stack: We store all logs, beats Data, JMeter results in Elastic Search. Visualize in Kibana. His talk has been selected for Containerday happening June 24-26 at Hamburg https://www.containerdays.io/ . Don’t miss out his talk if you get chance to attend this conference. Shivankit Bagla was our next young speaker who talked about his recent International Journal of Applied Engineering Research document https://www.ripublication.com/ijaer18/ijaerv13n6_166.pdf and his talk was titled around “Comparative study of Hadoop over VM Vs Docker containers. He talked about his project which was a comparative study of the performance of Hadoop cluster in a containerised environment Vs virtual machine. 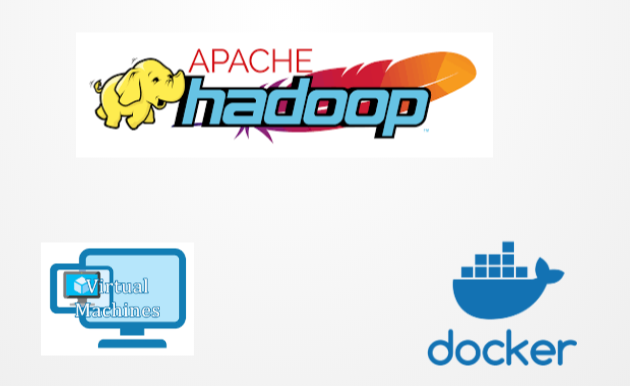 He demonstrated on how running a Hadoop cluster in a Docker environment actually increases the performance of a Hadoop cluster and decreases the time taken by Hadoop system to perform certain actions.